The first phase of Ottawa Light rail's construction is coming close to an end! Plans for stage 2 will be finally underway, this project is a long awaited and coveted addition to Ottawa's public transportation system as it has the agenda to extend the metro line westward to Moodie station, Baseline station, and eastward to Place d'Orleans station. This totals an extension of 11 stations westward and 5 stations eastward. In the meantime, the first phase is to open in April 2019. In light of the new transport system, I checked out Kontinuum Ottawa, which was an underground light show held at the new Lyon Station of the LRT whilst under construction. This show was produced by Ottawa 2017 and Montreal’s Moment Factory, see my pictures below. The introduction of a metro line in the Nation's Capital will enhance and facilitate Ottawa's lifestyle. What's even more exciting is that there is a proposal to launch the construction of a hyperloop train in the near future. The hyperloop train is a futuristic tube that would transport passengers from Toronto to Montreal via Ottawa in 39 minutes. This innovation would travel at a high velocity and would bring passengers from Ottawa to Montreal in 12 minutes. If this system is approved, imagine how revolutionary that would be?! In a nick of time, visiting friends in nearby cities can be done in under 40 mins. If the hyperloop train project is fully approved, by 2030, I can hop the tube at ease for a short ride from Montreal, arriving in Ottawa under 15 mins, just to simply dine at a local fave restaurant and visit my family. That would be amazing! In light of this news, I thought I'd share random photos of my weekends in Ottawa. 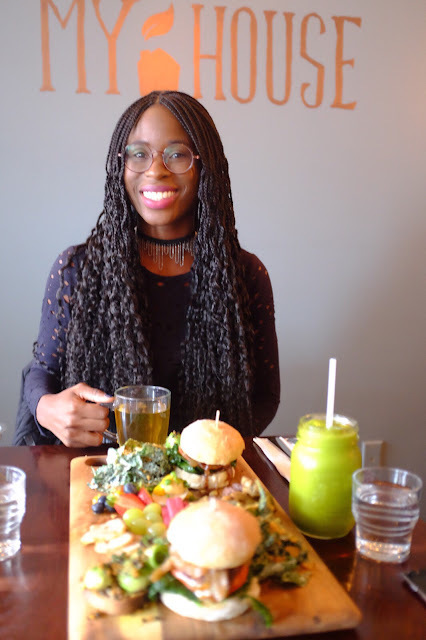 Last time I was in town, we decided to check out Café My House for a vegan dining experience, I was curious to try their tomato cheesecake but they didn't have it on the menu that day, although our dish for two was tasty. For fun, we decided to go visit the newly renovated Museum of Science & Technology with the family. I was hoping that the museum would be more hands on and interactive, however it seemed more like a static exhibition. Entry fees were expensive but the Lego museum definitely made up for it. I am currently house shopping in Barrhaven and was looking at model homes by Uniform Urban Developments while in town. We really like the Windermere house which is part of the Adirondack series. I am obsessed with home staging, look at these gorgeous interiors. Large bathroom spaces with white backdrops and neutrals as accents are my absolute favorite. A bathroom should emanate a mood for respite and relaxation, basically a personal oasis where you can seek refuge after a long day. On another weekend in Ottawa, we decided to do a quick wine tour starting at the Vankleek Hill Vineyard to visit our friend Marty that produces organic wine. Our bottle of choice is the yellow cow, which is a white wine that has a light and crisp taste. Next stop was Le Vignoble Clos du Vully, which has a wide range of wines, my top choices are the Frontenac and Riesling white wines. Their winery is also working on releasing a bottle of bubbles this year. 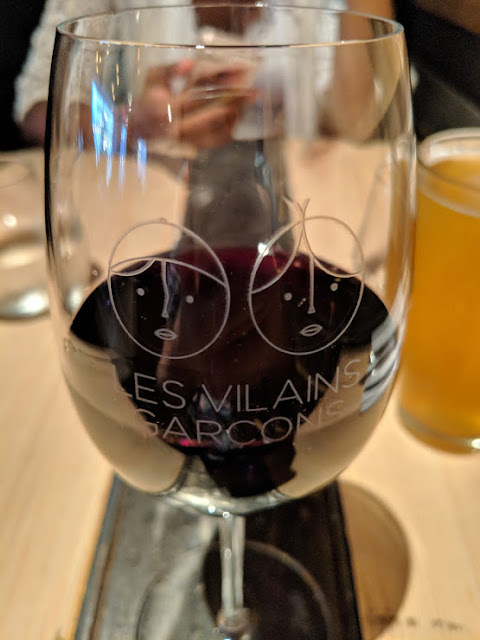 Later for dinner, we went to Les Vilains Garçons on the Gatineau side for a flavorful dining experience. On the following day, we checked out the Winterlude festivities to see the gorgeous ice sculptures in the downtown area and walked along the Rideau canal. Followed by a nice meal at Play, Food and Wine, try the halloumi cheese plate, so delish. 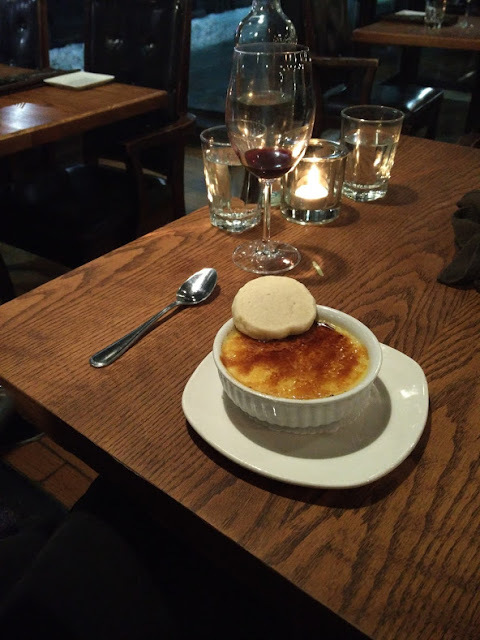 For some late indulgence, we stopped by Absinthe in Westboro for their shortbread crème brûlée. Seems like all I do in Ottawa is plenty of dining, well the capital is known to boast more than 2100 restaurants, so one can't resist! This concludes my Ottawa weekend series, now it's time to migrate to a warmer climate. Can't wait to share my next destination. 2. A friend with a nomadic soul will always appreciate an Airbnb.com gift card for the holidays. 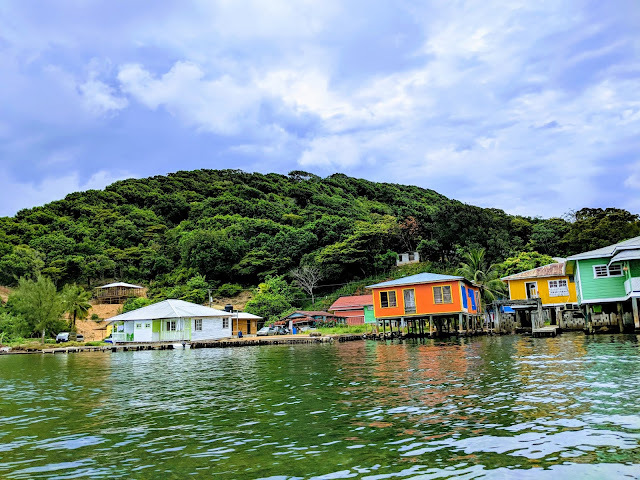 We traveled to Roatan, Honduras for 8 days, booked our flights via Air Transat and stayed in 3 different accommodations in order to visit 5 areas of the island. Starting with Pristine Bay, West Bay, West end, Punta Gorda and Oakridge. Yes, that is a whole lot of touring! Needless to say, we organized most of our itinerary before even landing on the island that way we wouldn't waste anytime. If you plan on going to Roatan, you must learn about the Garifuna people, they are descendants of African slaves that escaped a shipwreck. In the midst of auctioning slaves, Europeans would capture west Africans and ship them across the Atlantic Ocean to the "New World". By luck, it is said one ship with slaves collapsed and many were able to escape and swam ashore to Roatan among other places. After researching Garifuna culture, I knew I had to experience it myself. So I headed to Punta Gorda, which is where they first settled after the shipwreck. Every week, usually on Sundays, the Garifuna people perform a lively show of African drums and dancing which recounts the hardships of the slaves leading up to their final freedom. Personally, the most intriguing observation is that the Garifuna people had such a remarkable resemblance to Haitian people, physically as well ritually. Walking around the beach, I was approached by a local who insisted that I was Garifuna and I completely understand why, I felt like I was among my long lost brothers and sisters. Historically, the similarity is evidently linked to the fact that Haitians are descendants of west Africa as well. After visiting Punta Gorda, we went to Oakridge, a community built on the shore of the Caribbean sea. The only way to access the village is by boat, so we took a water taxi through the mangroves which was a sight to see. This area was once a playground for pirates who were on a quest for long lost treasures rumored to be on the island. They took refuge on the hills of Oakridge, casting cannon balls down onto their enemies. I met the city Councillor of Roatan! 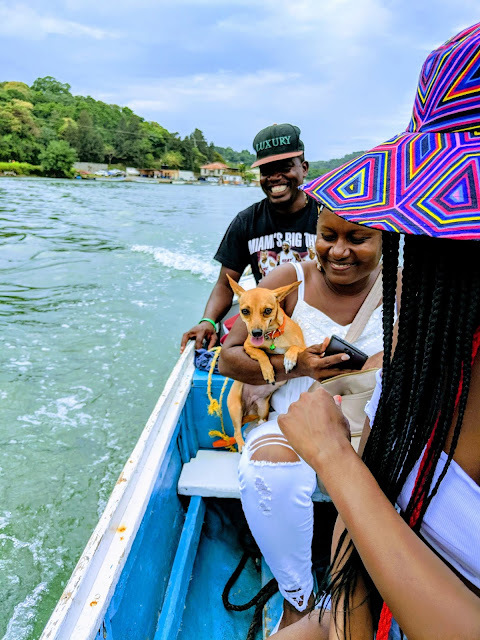 I was able to experience Garifuna culture & Oakridge in such a unique way because I went on these adventures with Roatan's city Councillor, Nidia. Before arriving to Honduras, I planned to bring items in need to any family that I may come across. 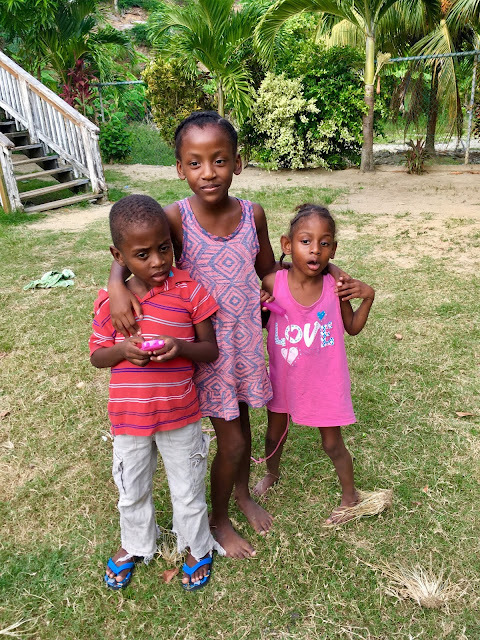 After thorough online research, I was referred to contact Nidia who also has an organization named "Roatan, Because We Care" which brings relief to people on the island. Not only was I amazed to meet the city Councillor but I felt even luckier to spend a whole day with her. Through Nidia's organization, I was paired up with the story of Victor & Victoria, they are premature twins that have lost their mother to cancer. Victoria has mobility issues and also does not speak. Currently, they are living with their grandmother and older sister who I also got to meet and spend time with. The kids were happy to have special guests at their home, I brought them groceries, clothing, toys and school supplies. They were so happy! If you are interested to do something like this, please contact Nidia at Roatan, Because We Care. No Garbage system in Roatan? After spending the whole day with Nidia, she gave me the full scoop on the island, we talked about the development of the area over the years, her amazing work as a city Councillor and the environmental issues affecting Roatan. Currently, the island does not have a functioning garbage system and that is a major problem. It was so hard to see such a beautiful place with countless plastic bottles washing ashore. Of course, all the tourist areas like West Bay beach are well maintained, however as soon as you walk off a resort, there is a lot of trash to be seen. Snorkeling is a must thing to do when you are in Roatan, the island has some of the most beautiful coral reefs seen in the world. At West Bay beach, there are coral reefs located a few meters from the shore. On the beach, there will be a number of salesmen approaching you with expensive packages, however for an intimate experience, I recommend contacting Oscar from Roatan Nanas, which is a private boat service that will take you snorkeling and also offers water taxi services. Oscar is a very comedic guy who actually taught me how to navigate a boat. 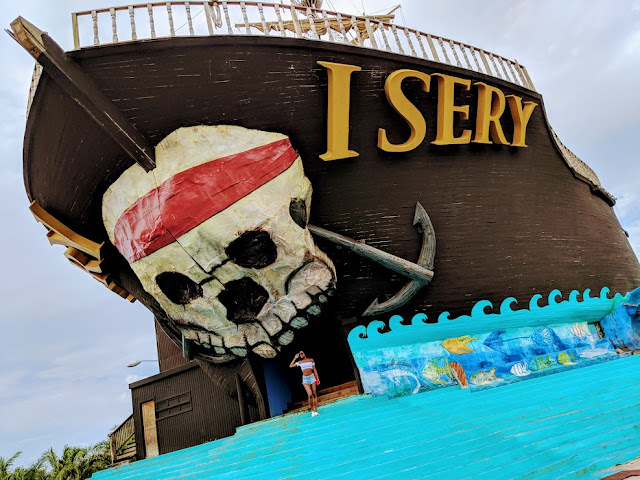 If you are seeking a fun & relaxing getaway, Roatan has a variety of resorts for all types of travelers, check out my honest reviews here. On our downtime, we relaxed on the beach, woke up to gorgeous views and had dinners by sunset. Let's not forget the countless coconut mojitos I had at Las Verandas, so delish! As for dining, there is a variety of restaurants catering to all tastes, however I advise checking google reviews before booking one. For the most part, the quality of food was standard, 5 star restaurants reflected their rankings and offered quality dishes. I definitely recommend having dinner by sunset at Argentinian Grill West Bay, try their steak dish, it's delicious. While on vacation, I decided to shoot my latest swimwear collection on location. There are so many photo opportunities at the beautiful resorts, it's a must. 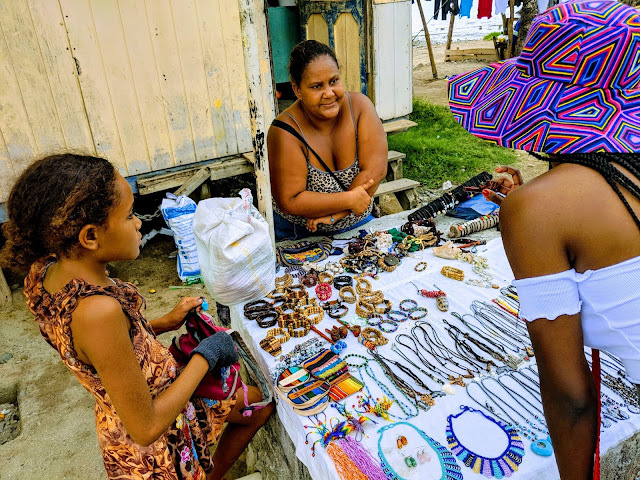 Speaking of photo shoots, while I was on the beach in West Bay, I was approached by a jewelry designer who asked me to model her designs on the spot. It turns out she has a boutique in Los Angeles named Van Lipp & Carter, her unique creations are made of dried flower petals. I haven't modeled in a long time but that was cool, you can see a photo from the shoot here. 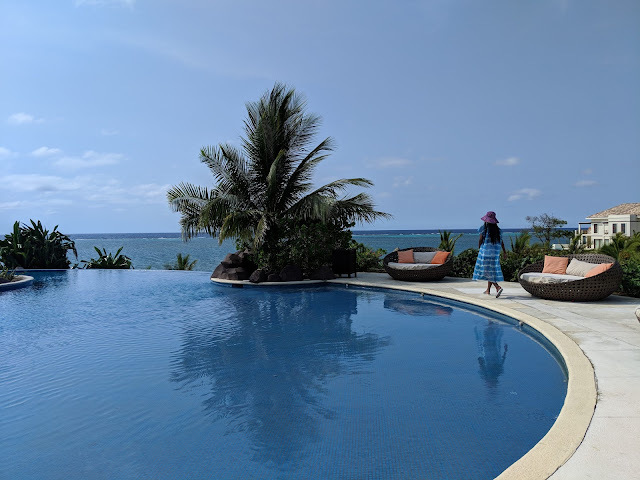 I already reviewed Ibagari Hotel in this article, however I have to elaborate more as it was a special experience. This place offers refined service paired with an artsy yet rustic decor as a backdrop. 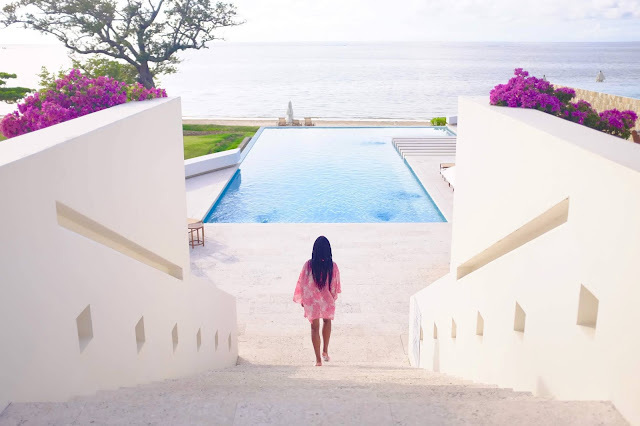 A champagne toast is offered at every sunset, little gifts are left on your bed randomly with peaceful quotes and the stunning bathroom has some organic spa products that are amazing. You can also go shopping in their boutique where you will find anything from purses to skin care. This is random, however if you see this fake cruise ship while in Roatan...this was actually a nightclub in the making. The story is that the owner, Franco Lombardi was arrested the day after opening night, turns out he was part of a drug cartel and was sought by the US DEA for a while and they finally caught him. In the end, club Isery was only open for ONE night and now it is just sitting there empty since 2016. Can't wait to share my next travel adventure with you soon! It's very different from this destination. 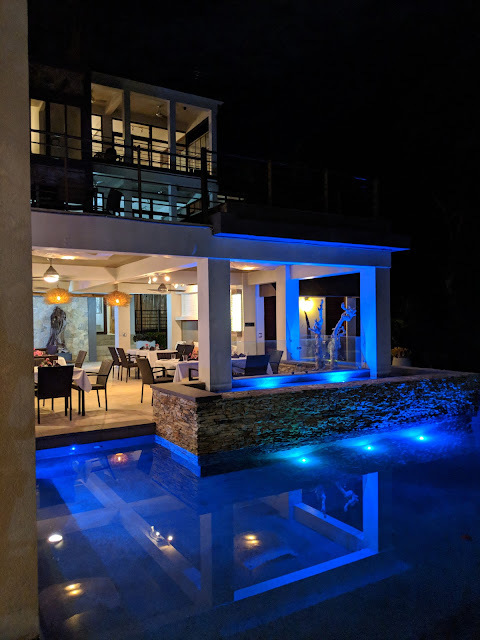 Las Verandas is located in the Pristine Bay area of Roatan. If you are looking for a quiet vacation, away from it all than this would be ideal. It is located very high up on a hill away from local stores and traffic. The mood at this hotel is to simply relax, although you can book many excursions such as snorkeling. Tips: When travelling to Roatan, one must be prepared for the sand flies that appear on the beach right before sunrise and sunset. Staying by the ocean at these times will expose you to getting multiple sand fly bites which is not ideal. This applies to all beach areas of Honduras. 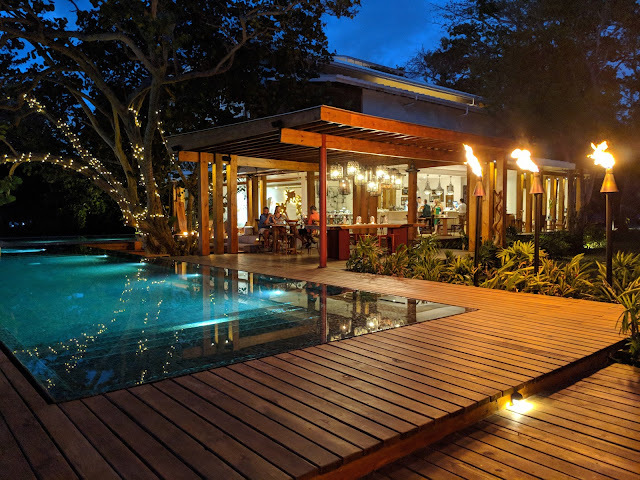 Although, we did not stay at Pristine Bay Resort, we visited the venue on numerous occasions as it was located right next to Las Verandas. There is actually a safe path connecting both places at the side of each resort. You can also request a ride via golf cart to visit next door. These ratings are based on their restaurant and beach. The popular area on Roatan Island is West Bay Beach, this is the place where all the animation happens and tourists from all over the world are seen. Since we were only staying there for a short 2 nights, we booked Paradise Beach Hotel which has a 4 star ranking on google, however it seemed more like a 3 star in reality. 4-5 ships dock on the island everyday, so from 10 am to 3 pm, there will be an extra amount of people on the beach. Ibagari boutique hotel is also located in the West Bay area, however it is tucked away in a secluded area. 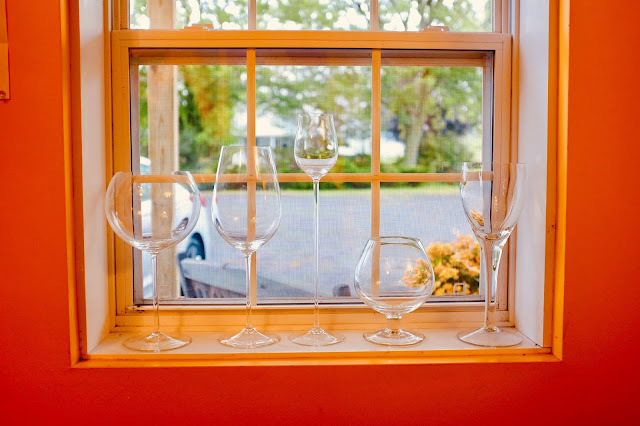 This place offers an upscale experience and is perfect for a mind, body & soul style retreat. Xbalanque is next door to Ibagari Hotel, literally a few steps away. Although, we did not stay overnight, we had reservations for dinner at the Lotus restaurant. This rating is based on the restaurant and decor. The menu was well balanced, I ordered the pineapple rum ribs which I recommend. Cocktails were also authentic with no additives and refreshing. The decor is Miami Beach style and there is a romantic seating area near the shore. 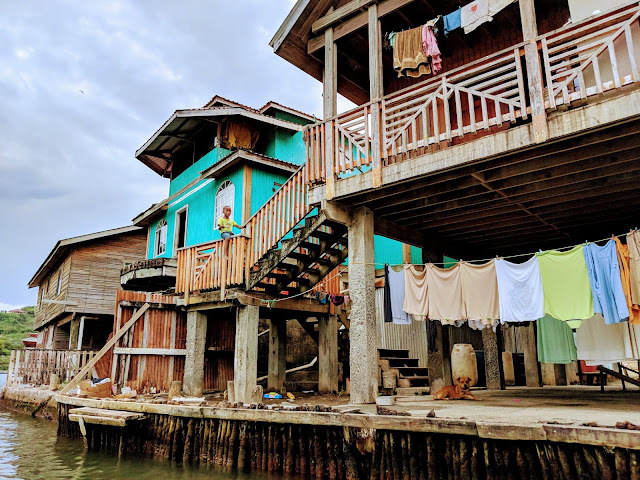 If you are a planning a trip to Honduras and you require more tips, don't hesitate to message me. In my next post, I will be sharing my adventures on the island of Roatan. 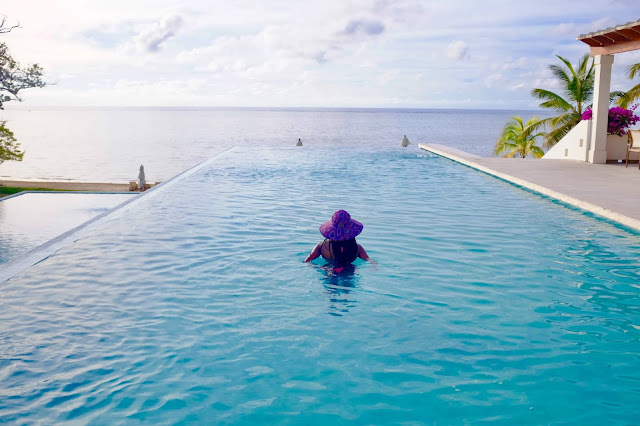 * Please note that all hotel rates in this article are from May 2018 via booking.com and exclude taxes. There is no better way to welcome Autumn than a day trip to a small cozy village nearby. Luckily, the city of Montreal is surrounded by numerous quaint towns, therefore If you ever feel you need a break from the city life and seeking to walk amidst some greenery, than I recommend going to Sainte-Anne-De-Bellevue for the day. This cute gem is located a 45 mins drive from Montreal. You can also take the train to the area, however it will take 1 hr 30 mins. I only recommend going for a day trip, that is enough time to enjoy the boutiques, restaurants and the scenery. Before checking out the small shops and restaurants of the village, we headed to the Morgan Arboretum for a promenade on the trails. The arboretum is 245 hectares of forested reserve and is open daily throughout the year to visitors who can walk and ski its trails. It's a perfect location to celebrate the glorious colors of Fall. In addition to Quebec's native trees, the arboretum property supports 18 collections of trees and shrubs, from across the world. The Arboretum is also home to 30 species of mammals, 20 species of reptiles and amphibians, and over 170 species of birds. If you want to practice landscape and nature photography than the Morgan Arboretum is a place to visit. We actually encountered a baby deer during our hike, they are hard to photograph, so be prepared! After our hike, we headed on Ste-Anne street, which is the main strip where everything is located. In terms of shopping, there was not much to see, most boutiques had bohemian style of clothing available, nothing memorable and on trend of course. Unfortunately, the thrift shop was closed for the long weekend. I always like to visit thrift stores in small towns, often times, items from old estates of deceased villagers wind up there. If you are lucky you can come across valuable family heirlooms. All that walking worked up our appetites, so it was time to eat. Olé Tapas had the best reviews on google so we decided to have lunch there. The tapas were authentic and fresh, it's as if we were dining in Spain. The owner kindly came to greet us and gave us a background on his Spanish roots and the delicacies he offers. I strongly recommend to eat at this place when visiting Sainte-Anne-De-Bellevue, most of the other restaurants had low ratings. After lunch, we sat down by the Sainte-Anne-de-Bellevue Canal to take in the scenery. If you plan to stay longer you can also board a boat for the evening or have dinner by the pier. More info here. There is also an ecomuseum zoo to visit in the area. Before going home, we were on the prowl for some dessert at Café au bout de l'Isle. Ending our day trip with some delish carrot cake, it's a must if you go to Sainte-Anne-De-Bellevue. Hi! 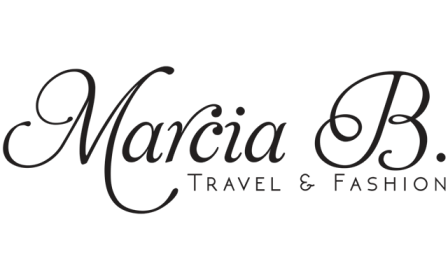 I am Marcia B.— Travel Blogger & Sales Executive in the Fashion Industry. Join me as I share my travels, amazing photos and awesome tips for people who love to explore countries around the world and the latest in fashion news.